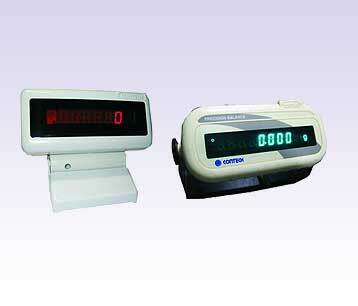 Auxiliary display is provided with cable for viewing at a distance away from the scale which can be placed on the table top or mounted on the wall. Maximum cable length can be upto 25 mtrs. 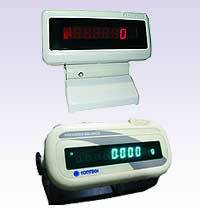 The Auxiliary display is available in LED or VFD as per the provision in the scale.